It’s amazing stuff, what ya wanna know? @dbhost here's my set up..
See my post on "Kettle Pizza" - Not Needed Here. 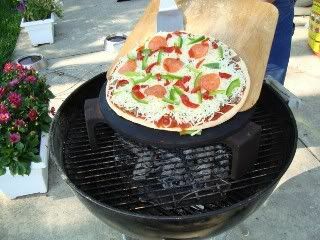 Pizza on the grill is super easy. Before I got the pizza attachments, I would pre cook the dough. Stretch it out and throw on hot grill for 3 minutes, flip and cook 1 min. Then put your sauce and toppings on. Cook until ready. I just kept the dials on high. Once you get a few good pies, then experiment with making your own dough, sauce, toppings etc. then buy peels! Without a pizza stone, I would stick with "flatbread" recipes over 'pizza' recipes. A fellow can do a pretty good pizza on about any of the Weber kettles without a lot of special equipment. The above was part of a pizza and calzone cook I did a few years ago. I found a 22.5 grill with a slight damaged lid. I cut out the front of it and put angle brackets inside to level off the grate. I bought a high quality stone that holds the heat. I bring the grill and stone up to 600 + degrees and hit the stone with cornmeal garlic powder mix. put the pizza on and keep rotating until it is done. Think about 5 minutes top. Awesome stuff. Fired up 2 grills - a 22" & 26". The 22" had one pizza stone, the 26" had a pizza stone and a upside-down Lodge cast iron pan on it. 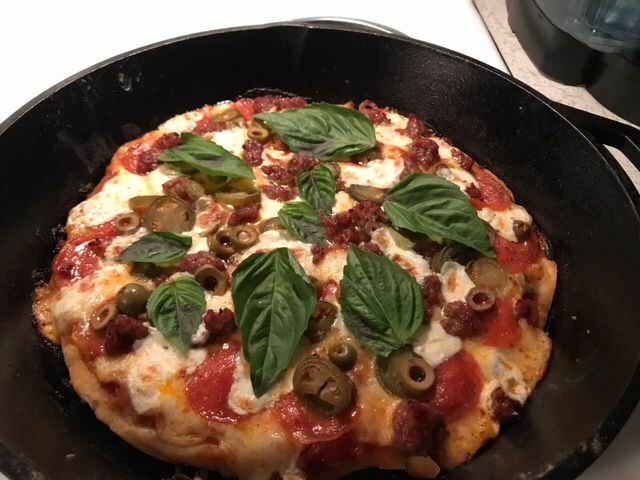 Used store bought dough and prepped the ingredients myself. Worked like a charm. Lots of tips can be found on here - the best being to use a pizza peel with lots of corn meal to facilitate the sliding and to get the grill/stones as hot as possible. With the lid offset and all vents 100% open it can cook a pizza quite quickly. Everyone was happy and impressed/surprised that it could be done in a Kettle.